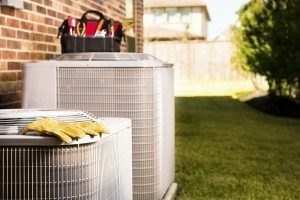 Dirty or damaged air conditioning coils can force your air conditioning or heat pump unit to work way harder than it’s accustom to putting additional stress on the system. But Sanders & Johnson Heating and Air Conditioning can help! We can clean and repair dirty air conditioning coils. We can replace damaged heat pump coils. Are you looking for the experienced professionals to help with your damaged coils make Sanders and Johnson your first choice. A standard air conditioning unit will have two sets of coils. You have your condenser coils that get rid of heat. These are the coils on the outside that are more likely to get damaged. A set of evaporator coils inside the house that the air blows across in order to get cold. The coils have hundreds of little strips of metal on them to help the heat escape quicker, these little strips are called fins, and this is typically what gets bent when you’re talking about a damaged coil. What Causes Air Conditioning Coil Damage? There are a number of different factors that will cause your air conditioning coils to become damaged or dirty, during the life of your air conditioner you will need to replace these coils. The good news for you is the fact that dirty or damaged air conditioning coils can be an easy fix for a trained professional. You want to keep your system top notch and clean, this will have a huge impact on how much energy you are actually using to cool your home. If your cooling system is left unmaintained it will decrease in efficiency and for you that means higher bills. However, you can lower the cost of your energy bills by having one of our HVAC technicians visit your home. Contact Sanders & Johnson, Inc. Heating and Air Conditioning, we’ve been providing honest work for honest prices since 1977.